Michigan lay in the grip of the Dust Bowl and one of the worst droughts in its history. In 1938 the Ottawa County Conservation District was formed to help farm families work together, adapt new methods, save farms, and preserve the county's rich agricultural variety. 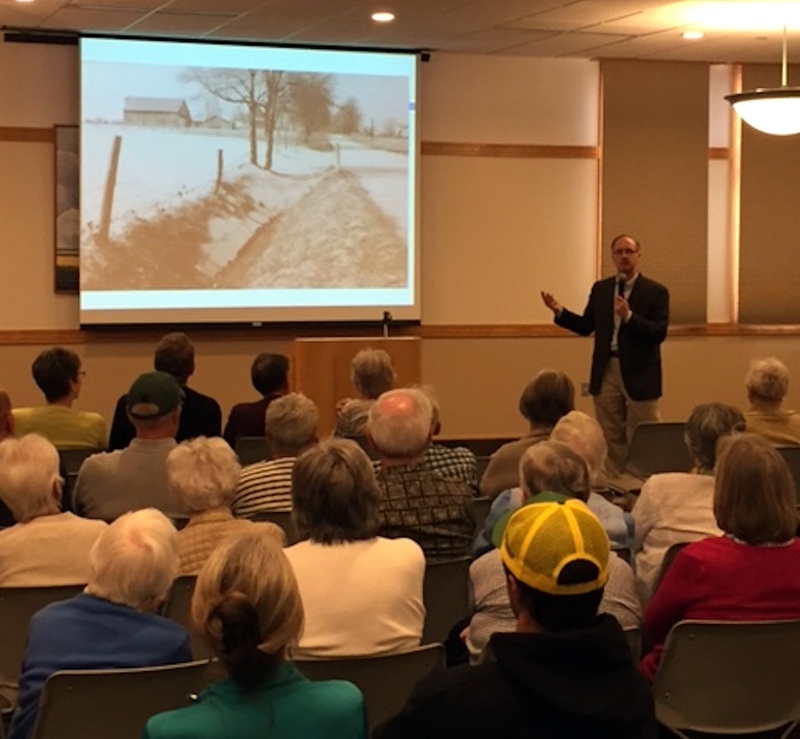 This presentation features dozens of color photographs and discusses soil conservation efforts initiated across the county during that time. 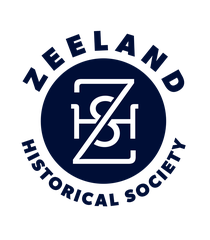 On Tuesday, April 25, the Zeeland Historical Society and Howard Miller Library co-sponsored a program at the Howard Miller Community Center. 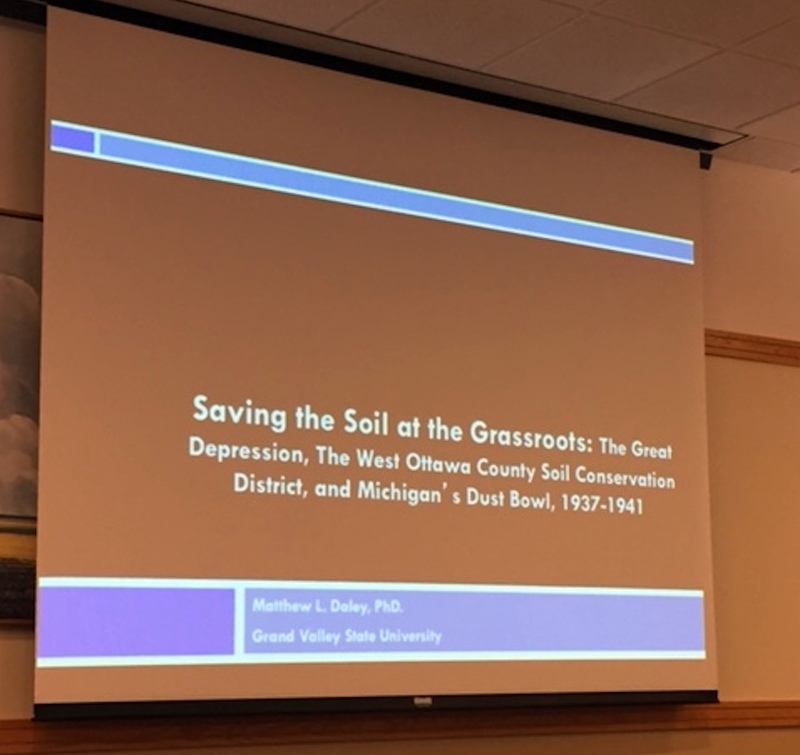 The program titled, “Saving the Soil at the Grassroots: Ottawa County, Michigan’s Dust Bowl 1935-42,” was presented by Dr. Matthew Daley, associate professor of history at Grand Valley State University. 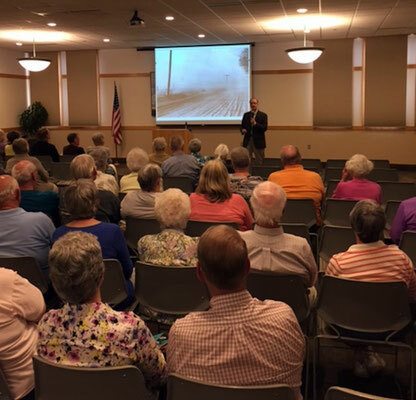 Daley began his presentation by stating that when people hear the term ‘Dust Bowl’ they often think of the Dust Bowl that occurred on the Great Plains in the 1930’s. Daley explained that Ottawa County did not escape this debacle however, enduring one of the worst droughts in its history from 1935-42. High temperatures, severe prolonged winds, lack of rainfall, and other factors all led to massive windstorms that blew sand from the shore of Lake Michigan into the interior of Ottawa County. The result was that the good soil in the farm fields was compromised with sand and farm crops were ruined, especially in the western portions of Ottawa County. Even the city of Grand Haven was not spared. 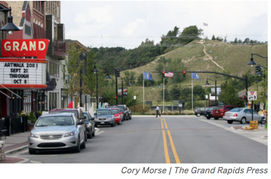 In November, 1940 at Dewey Hill, a sand dune directly across the Grand River from downtown, the dune shifted nearly two feet and nearly 30,000 cubic feet of sand was blown into the downtown area, into portions of the Grand Haven channel and the surrounding environs. The county did respond to all of this devastation by forming the Ottawa County Conservation District in 1938 to help farmers work together, adapt new methods, save farms and preserve the county’s rich agricultural variety and heritage. 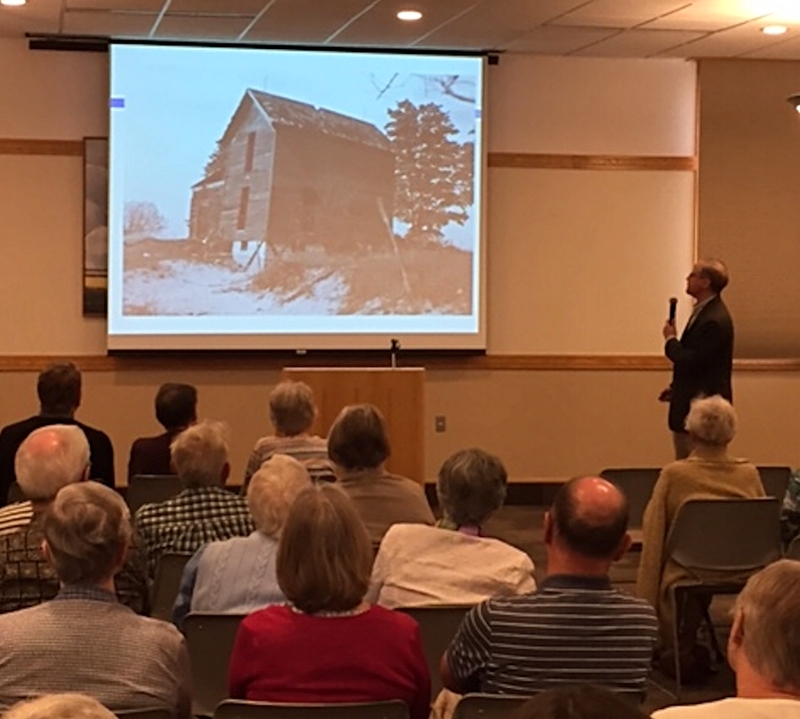 Daley interspersed his talk with many photos of Ottawa County during this period of time which were viewed by the 60 audience members. Here is some more information on the Grand Haven 'sandstorm' that was in an MLive article that Matt Daley had also mentioned in his presentation. Overlooking the city: Dewey Hill stands across from the Grand Haven waterfront at the end of Washington Street. During summer months, the hill is the site of shows by the city's Musical Fountain. FERRYSBURG — Sand in the streets of downtown Grand Haven was not unusual during the Great Depression, but the drifts that greeted city residents two weeks before Thanksgiving in 1940 were something altogether different. The city had been hunkered down for several days riding out the Armistice Day Storm, a violent windstorm considered among the worst to ever hit Lake Michigan. After the wind and rain calmed down on Nov. 13, it was discovered that Dewey Hill, a sand dune directly across the river from downtown, had shifted nearly 2 feet. Two days of 70 mph winds — which also sank two vessels with all hands — had blown about 30,000 cubic feet of sand inland off the dunes fronting the lake. It wasn’t so much a wake-up call as a moment of reckoning for a county already hit hard by wind-blown soil erosion. “Pretty much this whole half of the county was blowing away,” said Kelly Goward, a conservation technician with the Ottawa Conservation District. 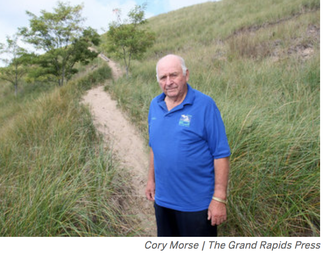 Lester Langeland, of the Ottawa Conservation District, stands on Dewey Hill in Grand Haven. Trees and dune grass were planted on the hill in 1941 by the conservation district to stop erosion. 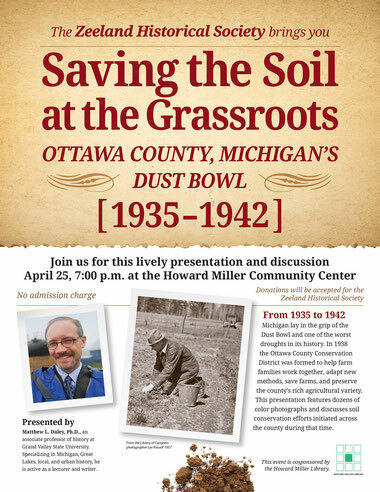 In the 1930s, the district was known as the West Ottawa Soil Conservation District. It was organized in 1937 as the first soil district in the northeastern U.S. by a vote of local farmers who were watching their land being blown away. Extensive farming without crop rotation, cover plantings or other techniques, combined with a shift in the jet stream, a prolonged drought that lowered lake levels and summers of record-breaking heat created perfect conditions for erosion along the shoreline. The 40-acre dune across the river from downtown Grand Haven is the part of the Kitchel-Lindquist Dunes Preserve and the site of the city’s Musical Fountain, which puts on displays during summer months. 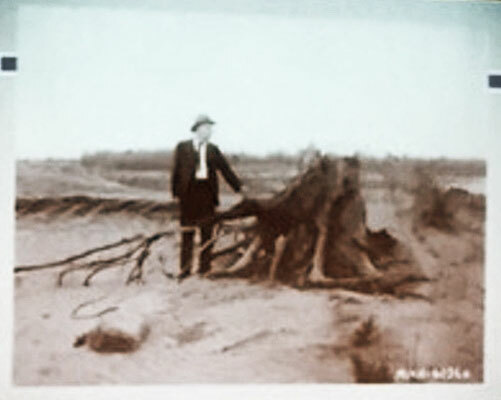 Rough past: The dune once threatened to bury the Grand River channel and downtown in sand during Dust Bowl conditions that plagued Ottawa County in the 1930s. It worked out: The city residents planted trees and beach grass on April 19, 1941, to anchor the sand. It was an early success for the Ottawa Conservation District, the oldest soil district in the northeastern United States. Soil expert Frank Trull was sent to Grand Haven from Benton Harbor to lead the West Ottawa district, which was being closely watched from Lansing and Washington, D.C.
Trull’s district was organized under the state Department of Agriculture, which funneled funding from President Franklin D. Roosevelt’s New Deal economic recovery package. 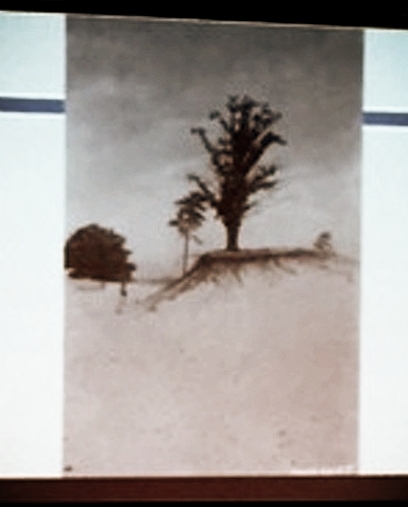 Trull immediately advocated for dune grass and tree plantings. Initial efforts focused on helping farmers replant their land with help from Civilian Conservation Corps workers.